Corner Bakery Cafe announces it is now providing deliver to offices in the Downtown Tempe area as it responds to the growing demand for food delivery services from customers. Delivery is available to businesses and offices near Corner Bakery’s Tempe restaurant at 222 S. Mill Ave. during the cafe’s hours of 7 am – 3 pm. There is an $8 order minimum and a $3 flat delivery fee. The Downtown delivery area includes Mill Avenue, Arizona State University, Rio Salado Parkway, and even across the Mill Avenue bridge to SRP. Delivery orders can be made by contacting Corner Bakery, Tempe at 480-656-6666. It typically takes 30 minutes or less for delivery. Corner Bakery Cafe features made-to-order food for breakfast, lunch and dinner. It bakes its cookies and cakes fresh every day. The Tempe cafe is located at the Southwest corner of Mill Avenue and 2nd Street at 222 S. Mill Ave., Ste 109. 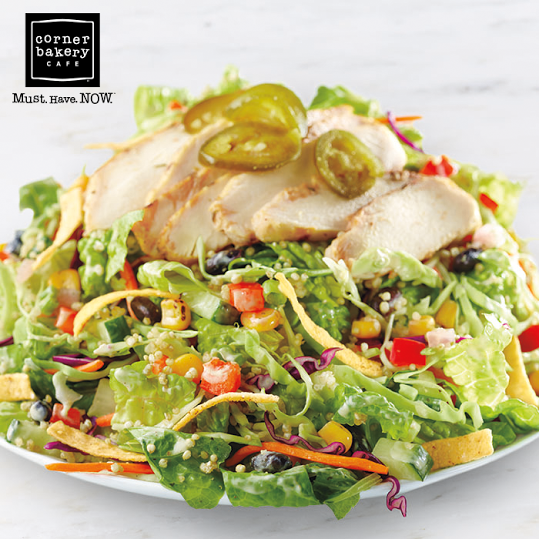 For more information about Corner Bakery’s menu and hours visit CornerBakeryCafe.com.